"Knowledgeable and made herself very available throughout the entire process"
"Amy was knowledgeable and made herself very available throughout the entire process when my husband and I purchased our home. Very professional and assisted us in making our transaction as smooth as anyone could ever ask for!" "extremely knowledgeable and great with negotiating skills"
"Amy is one of the most professional real estate agents that I've done business with. I recently purchased a home through her and had a great experience. She shows me several houses that best fit my needs. She is extremely knowledgeable and great with negotiating skills. Her communication is top notch and she was able to get my deal closed within 30 days. Hands down five stars. Thanks again Amy for the fantastic service!" "Amy was absolutely amazing. She helped us with both our sell of the house and also with the purchase of the home in Ridgecrest. She seemed more knowledgeable about it then the our realtor in Ridgecrest. She differently went above and beyond the call of duty." "incredible resource to have for my cross country move"
"Amy was an incredible resource to have for my cross country move. I flew to Palmdale for a 4 day house hunting trip in July and she made sure that her schedule was centered around finding a house that matched what I was looking for. She listened to all of my considerations and found several homes that fit the bill. I eventually purchased a house that she recommended. Once the offer was signed off on, Amy walked me through all the paperwork and went above and beyond to make sure that I got the keys in as quick of a time frame as possible. Beyond lining up several homes to look at, she drove my daughter and I around, giving us a feel for the area and pointing out what this area has to offer as far as recreation, etc. Her knowledge of the local area is spot on. Amy, is fantastic and I would definitely recommend her to anyone looking to purchase real estate in the Palmdale/Lancaster area. I will be using Amy for any future real estate purchases in the future." "When it came time for closing she put her negotiating skills to work!" "She worked very hard to make sure everything was done in a timely fashion. When it came time for closing she put her negotiating skills to work! She was very knowledgeable of the areas and builders of the homes." "thoroughly prepared when approaching me with her tactics on selling my home"
"Amy was on top of all correspondence and was very knowledgeable about the area and the market as well as being thoroughly prepared when approaching me with her tactics on selling my home. I am extremely satisfied with the service I was given from her." "Her marketing strategy and honest assessments allowed us to sell our home quickly"
"I can't say enough wonderful things about Amy Heath. She made the house selling process MUCH easier for us. Amy was always on top of her communication and answered all of our questions, which I'm sure was painful- as we had a lot of questions. We always felt that we were her priority, even though she had many other clients at the same time. Amy took time to get to know our family and did a fabulous job. Her marketing strategy and honest assessments allowed us to sell our home quickly and we are very grateful to have worked with Amy Heath." "she impressed me with how knowledgeable and organized she is"
"In deciding which Realtor I should choose, I decided I should interview three different Realtors. I met Amy Heath first and she impressed me with how knowledgeable and organized she is. She prepared a three ring binder that she explained step by step. Needless to say, I never interviewed the other two Realtors because I just knew that Amy was the perfect Realtor for me. It only took one open house for us to get a full offer. Amy was available every step and made the process go smoothly." "professional, smart, experienced, knowledgeable and very responsive"
"Amy Heath was my agent for the sale of two properties in probate, one in Palmdale and one in Lancaster. Amy is professional, smart, experienced, knowledgeable and very responsive. Prior to the sale, she gave me recommendations for vendors to do various work on the properties, such as cleaning, yard work, repairs, plumbing, etc. Her recommendations about listing price turned out to be very good. Both homes sold in a very short time, and escrow was smooth. I strongly recommend Amy Heath." "Amy is extremely knowledgable, reliable and thorough. This was a first time experience for myself and my husband and she made it seamless! She is experienced and professional and I highly recommend her." " She was able to handle out of town buyers"
"Amy is skilled with multiple buyers. She understood the dynamic of a large family. She was able to handle out of town buyers. And she was able to quickly respond to market dynamics." " she was there for us 100%"
"Amy was an excellent agent from the very start. We were a little hesitant at first because we had lived in our home for almost 29 years. She never pushed us but when we made the decision, she was there for us 100%. We listed our house on a Thursday and sold it on Sunday, and purchased another home on Tuesday! Because of her expertise, the process went very smoothly! Amy was always easy to get ahold of, if she wasn't available when we called, our calls were returned very promptly. We couldn't have had a more professional and personal real estate agent. Any issues that came up were handled immediately and professionally. We would recommend Amy Heath highly!" "She worked very hard and exceeded our expectations"
"Our experience with our realtor Amy Heath was exceptional. She worked very hard and exceeded our expectations. Amy helped us find the home we were searching for. She was very knowledgable about the area and surrounding amenities. I would recommend Amy heaths services to everyone. Thanks for all your help and hard work! "She was always there to do whatever was needed to get the house sold"
"Amy did an excellent job getting our house sold. She was always there to do whatever was needed to get the house sold, inspections, or repairs and since we live in another state that was a great help since we couldn't just drive on over whenever it was needed to take care of something. Great job." "She made our whole process go as smooth as possible even when issues came up"
"Amy was very curtious and easy to get along with. She made our whole process go as smooth as possible even when issues came up. We felt she was always there to help and will recommend her to everyone we know." "Amy is a true professional in every respect"
"Amy is a true professional in every respect. She has an acute knowledge of the areas we were interested in and was willing to voluntarily do research to provide other information that could be used to help us make or decision." "She masterfully worked around a few touchy situations and did a remarkable job"
"Amy did a great job selling our home of 24 years. She was constantly in touch with us regarding the many clients that came to see our home and those that placed offers. She masterfully worked around a few touchy situations and did a remarkable job. We highly recommend her." " I had to move mid-sale for my new job and Amy kept me well informed"
"Amy made this entire process so easy! I had to move mid-sale for my new job and Amy kept me well informed and made sure that everything I needed to do could be done remotely"
"great to work with, very attentive, and very easy to talk with"
"We used Amy to purchase our first home and again when selling and buying second home. She is great to work with, very attentive, and very easy to talk with. always answers any questions or concerns. We will definitely be using her again, and we recommend her to anyone who wants to purchase or sell their home." " I feel that due to Amy's determination and quick response time my goal was accomplished"
"I contacted Amy in Feb. of this year. I told her I was interested in buying a house but wasn't sure of the steps to take to do so. She told me we need to see how much I could afford and that I needed to talk to a lender.The next step was the desired size and location. I told her I was more concerned with the location than the size of the house, There were only houses that were pending or excecting back up offers at that time, But everytime a house came on the market in my price range Amy took me to see it, She wrote offers up for me the same day. The first two, someone elses offer was excepted. But after about 3 weeks of searching she found the one for me! I told her this is the one! I REALLY want this one. So she wrote the offer and 45 days later, I'm in my new house and absolutly LOVE it!!!. I feel that due to Amy's determination and quick response time my goal was accomplished. I will most definently reccomend her to all of my friends and family!!!!" 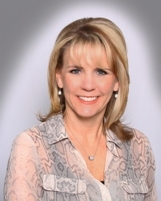 "We loved having Amy as our realtor"
"My husband and I are clients of Amy Heath. We sold a home in 2002 and Amy represented us. We loved having Amy as our realtor. She was very warm, down to earth and easy to talk to. She sold our home quickly and we got the price we asked for it. In 2012 we sold another home and of couse we chose Amy again. She no sooner put it on the market and we had 4 offers in the first weekend. We accepted the best offer and again Amy expedited it quickly and expertly. Our only problem was we now needed a new home as soon as possible. Amy found us a foreclosure that fell put of escrow. It needed some work but was an exellent buy. She was so quick and efficient that we were able to buy the house before there were multiple offers. We highly recommend Amy to anyone selling or buying a home, we were very impressed with her professionalism and caring nature." "She was on top of everything from the beginning of the purchase transaction"
"Amy was always very professional. She responded to emails and phone calls in a timely manner. She was on top of everything from the beginning of the purchase transaction. She always kept us updated. We were very happy with her, and we give the highest recommendation. We will definitely do business again with her in the future." "walked us through all the elements of the documentation in a clear and concise manner"
"Amy Heath was the realtor in the purchase of our house in Palmdale in 2012. She walked us through the process of buying a bank owned home with such clarity, that we chose her to sell two homes we had in Palmdale. Each sale was completely handled by Amy. She did all the paperwork assisted with options for financing, walked us through all the elements of the documentation in a clear and concise manner. The results were as follows and are documented. The original house we purchased with Amy's help was bid on and the bank accepted our bid within a week. We sold both of our houses in Palmdale using Amy's service within 1 week, She handled the marketing, photos, set-up the showings, walked us through the bids, and carefully explained each step and each document. I am recommending Amy Heath without reservation for any real-estate transaction. In fact I have already recommended Amy to 3 business acquaintances and 2 relatives.